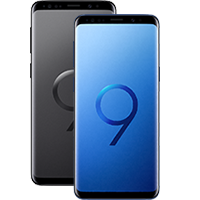 The first thing you’ll notice about the Samsung Galaxy S8 is its stunning 5.8 inch infinity display. Look a little closer and you’ll also notice a host of other great features, such as 12MP Dual Pixel camera, iris scanning security, and VR capabilities. Read the rest. Cannot find fault with this phone, it came in a plain package and no accessories but that was pointed out in the advert for it and is not an issue. The phone itself is superb, no marks or issues and having tried a friends i phone X, both he and myself preferred the samsung. I in the future will go for a refurbished phone again a real bargain. 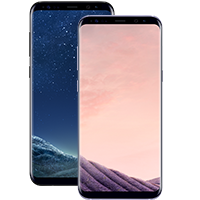 The Galaxy S8 is the first Samsung smartphone to showcase the eye-catching Infinity Display. 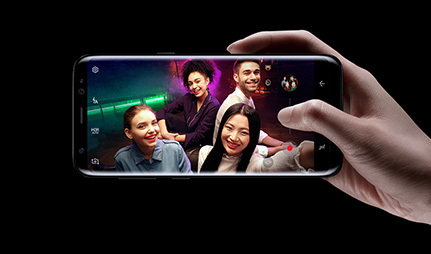 This Super AMOLED edge-to-edge screen features extended images with a bezel-free border, allowing you to enjoy high definition entertainment like never before. Measuring in at 5.8 inches, the Samsung Galaxy S8 is the perfect platform for your favourite videos and games. This stunning screen combines with sleek aluminium to offer a seamless unibody that’s both stylish and comfortable to hold, as well as being IP68 water resistant. 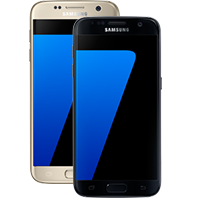 The Samsung Galaxy S8 earns its flagship status with a wide range of next-generation features. Take for example the iris-scanning technology for high-tech security, or the voice-activated Bixby personal assistant which offers all the info you could need. 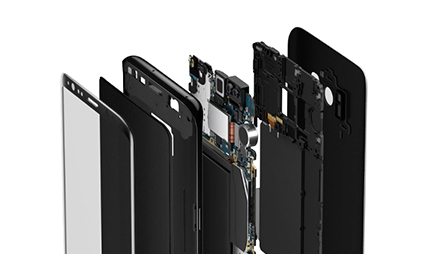 Under the hood is an octa-core processor for a smooth and lag-free user experience, and a long-lasting battery. All that heavy duty power comes in handy when taking advantage of The S8’s virtual reality potential, by combing the handset with the impressive Gear VR headset (sold separately). 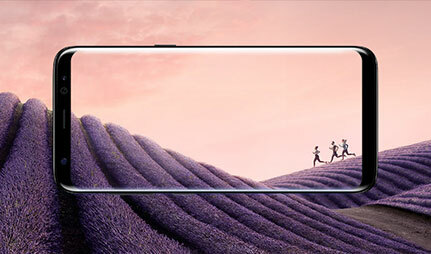 The Samsung Galaxy S8 features a 12MP camera, equipped with Dual Pixel technology, allowing you to snap both stunning scenery and perfect portraits. With an f/1.7 aperture, this intelligent lens lets in more light for pin-sharp results at any time of day. 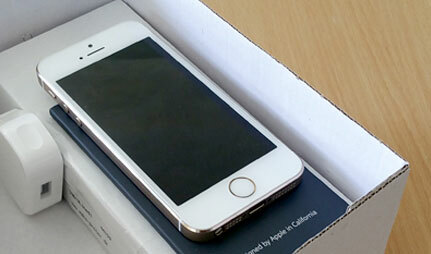 To the front of the device is an 8MP secondary camera. Combining facial recognition capabilities with smart autofocus, you can be sure of perfect selfie results with every click of the shutter. It’s also ideal for Skype video calls, helping to add that personal touch when you phone home. The highly anticipated Samsung Galaxy S9 and Samsung Galaxy S9 Plus have finally been revealed. Everything started off ok, received my replacement upgrade phone, found it to be faulty and really didn't like it rang to arrange a return which turned out to be rocket science in itself and they won't let me change back to an Apple rather than Samsung, not impressed at all. Phone has been freezing from day and hour it was received, customer service very inflexible to reach a solution. Turned up in a seconhand non fitting box with all contents floating around inside ..
No headphones or dongle supplied only a charger !!! !